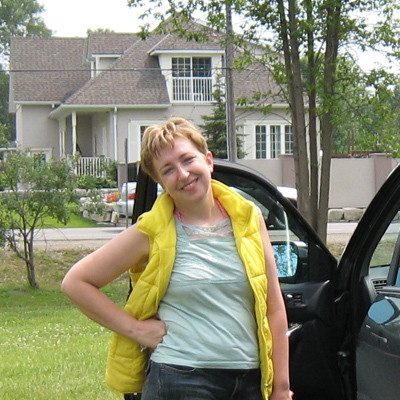 I am a contemporary Ukrainian - Russian - Canadian artist living in Mississauga (Toronto), Canada. Painting is something I really love to do. Now it is the most important part of my life. I love colors, enjoy playing with them, mixing them, putting them together. I feel them like music. And the main thing I would like to express in my work is that the life is full of the beautiful moments. My favorite subjects are flowers, landscapes and abstract compositions. Commissioning a painting is a process of communicating with the artist to produce a painting, which is particularly significant to you. If you're interested in having a one-of-a-kind commission painting done for yourself or as a unique gift for that special someone,contact me and I'll be only happy to discuss the possibilities. The overall theme of the work, the composition, the color palette and the dimensions of the work can all be tailored to your particular space. Commissions can be painted from a photo (hardcopy or digital) supplied by you, or digital photographs taken by the artist for an additional fee. Price is based on size and time taken to complete the project. Whatever the occasion, I can work with you to produce the painting you're seeking. You also have the knowledge that you are dealing directly with myself, the artist and not a tangle of agents and dealers who simply pass on the work to the cheapest option that leaves the client unhappy and out of pocket. I hope people enjoy my paintings as much as I do creating them.